Are there any regular kind of animals there in Maui? or are they special needs? I love the goat dont get me wrong. HA! They do all seem to be special needs. 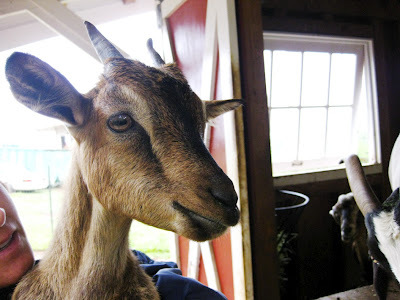 My friends on Kauai have a tripod goat...just 3 legs. Wait- you can hunt goat on the island?? Urgh. Poor Penny- it's a tragic Bambi story. awwww...sweet baby. Bless Ms. Lauralee and her Farm! !